In recent years, augmented reality (AR) has become a powerful engagement tool. Learn how AR helps companies get a competitive advantage. AR is a powerful engagement tool that modern businesses can use in their software products. By combining visuals, sounds, and enhanced interactivity, AR reinvents the way users receive information and interact with their environment. Companies can gain an edge over their competition or operate in entirely new niches by offering AR-driven services and products to their customers. Worldwide spending on AR and virtual reality (VR) continues to grow. AR is predicted to surpass $20 billion by 2021 for the consumer sector, with mobile AR on smartphones and tablets to dominate. Experts forecast that the commercial sector will adopt head-mounted devices like Google Glass or Microsoft HoloLens in retail, transportation, professional services industries, and manufacturing. Tech industry leaders like Microsoft, Apple, and Google recognize AR as a promising technology that is already yielding profits. These major tech companies are already developing hardware (e.g. Microsoft HoloLens) and platforms (e.g. Apple ARKit) that allow developers worldwide to create new AR applications. As time goes on, the scope and scale of AR adoption in various business domains is only going to grow. Few companies have an in-house development team prepared to deliver an AR or VR app, so deciding to outsource your app to an AR/VR development partner can help. If you’re considering investing in AR for your business, read on to learn about the latest trends and applications. For virtually any business, mobile AR offers a prime opportunity to enter the digital market early and start reaping the benefits of AR. Mobile devices are a widely-available distribution platform you can use to bring your products or services to millions of new users. AR ticks all the right boxes to bring the power of wonder and surprise directly to your customer's fingertips, all wrapped in a visually enticing and personalized package. For example, AR is already proving its usefulness for customer engagement and loyalty program gamification. 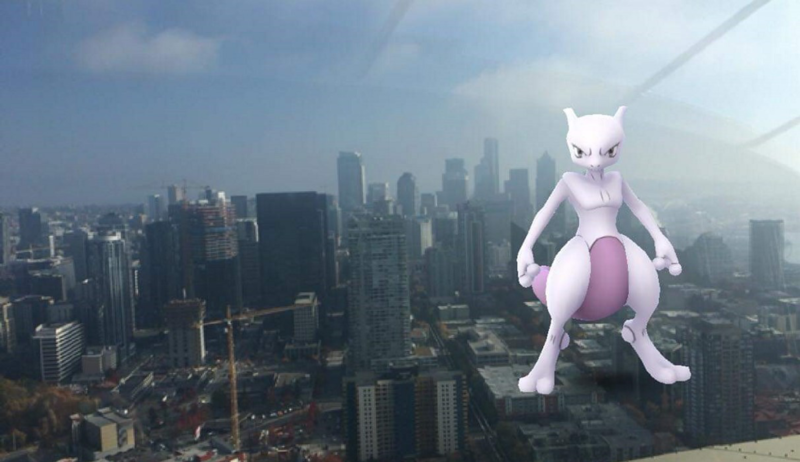 Games like PokémonGo and the popular photo sharing platform Snapchat have already found resounding success bringing the innovation of AR to a younger audience. 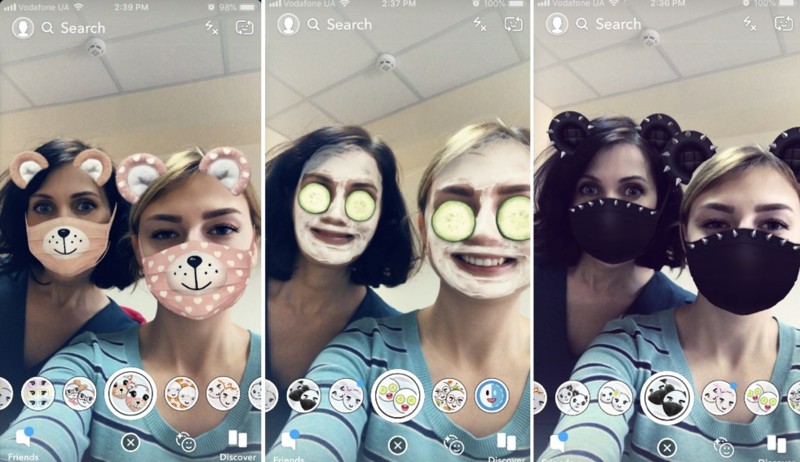 Snapchat has been a real pioneer in bringing AR to the mainstream through its filters, which are applied to image and video messages sent and received by 180+ million daily active users worldwide. The filters add AR-powered animations to Snapchat users’ photos. Pokémon Go is a mobile app that combines gaming with the real world by tracking players’ locations and using AR to add Pokémon characters so players can catch them. Pokémon Go has earned $104 million and gained 147 million active users in May 2018 alone. 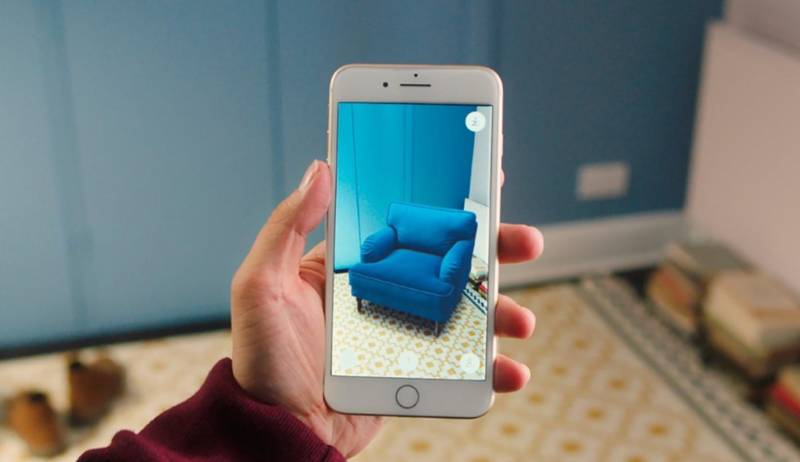 Large retailers like IKEA also use AR to give their customers a full visualization of what their furniture will look like when it is placed in their home. IKEA Place is a visualization app for iPhone and Android which gives customers the ability to virtually place IKEA products in their home environment before buying. Incorporating AR technology requires special attention to testing, which can help companies create a final product that engages their audience. Games, retailers, and numerous other businesses are discovering AR’s power to engage users. Convenient navigation is an essential in our daily life. Most people rely on mapping services, such as Apple’s Maps app or Google Maps, when navigating new outdoor destinations. When it comes to indoor navigation, however, the problem requires a different solution – and AR can help. Convenient indoor navigation helps users find their way in airports, shopping malls, large office buildings, factories, and hospitals. It also optimizes passenger flows. For example, the Official Gatwick application provides people with AR navigation around the Gatwick Airport using their smartphones. The app also displays available flights in real time and routes to the gates and terminals associated with a selected flight. AR-based indoor navigation allows mall visitors to find the easiest routes to shops. It increases productivity of office and hospital staff. Indoor navigation can also be easily integrated with security solutions that restrict access to specific areas. To build an indoor navigation tool, you combine AR with machine vision. In this application, a mobile app determines a user's location inside a building by scanning specific marks, conveniently placed throughout the building. The scanned mark becomes the starting point from which the mobile app leads the user to a required destination via drawn routes. Android devices use ARCore to scan the information plate using Augmented Images. iOS uses ARKit for indoor navigation. 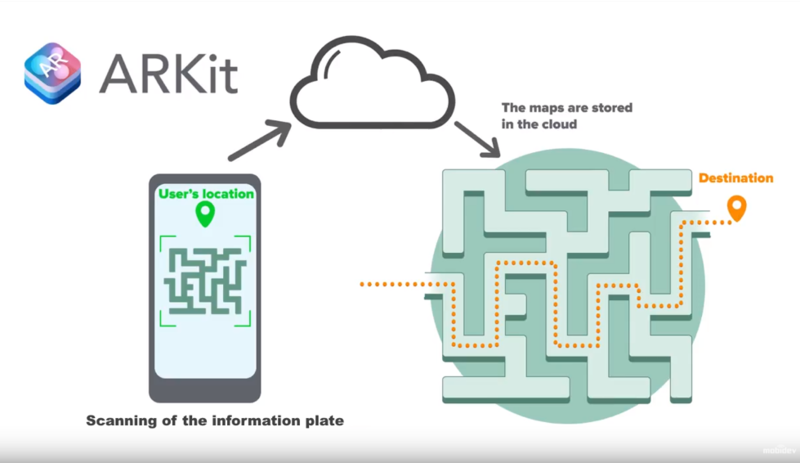 AR-powered indoor navigation helps end users save time when exploring unfamiliar locations. Apple's ARKit provides mobile apps with the capability of scanning a face and tracking how its features change over time. This ARKit feature can be applied in fitness applications. 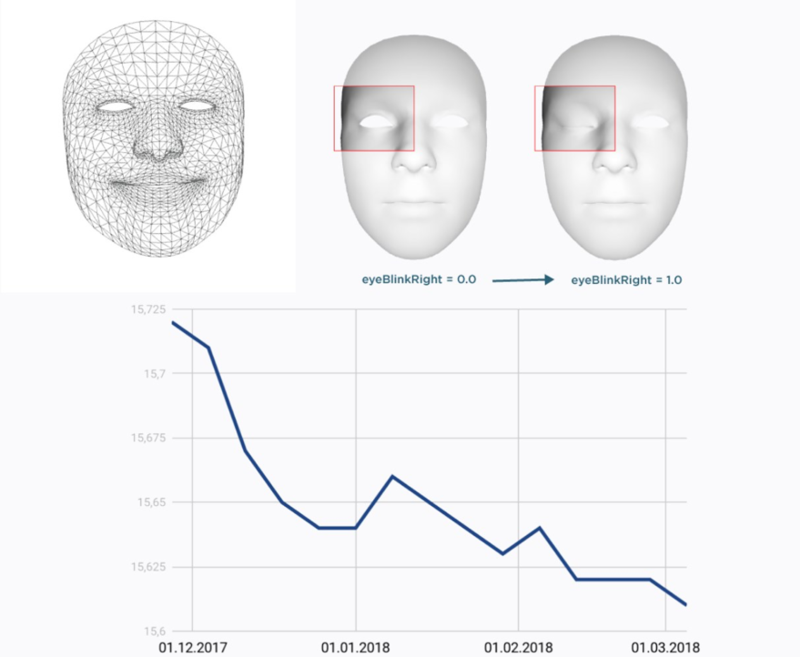 When a person loses weight, their facial features grow sharper, and an AR-based app can show their progress toward weight-loss goals. AR can power facial recognition technology, opening new opportunities for apps. AR provides an easy and convenient way for users to get acquainted with new electronic devices. You can use AR to recognize various objects and gain access to additional information through a virtual manual on your smartphone. This type of AR can be used for machinery, smart home appliances, or even car dashboards. For example, a virtual assistant called Ask Mercedes combines an AI chatbot with augmented reality functions. Drivers who use Ask Mercedes can type questions about a selected vehicle on their smartphone screen or use the assistant’s voice recognition tool to ask questions. 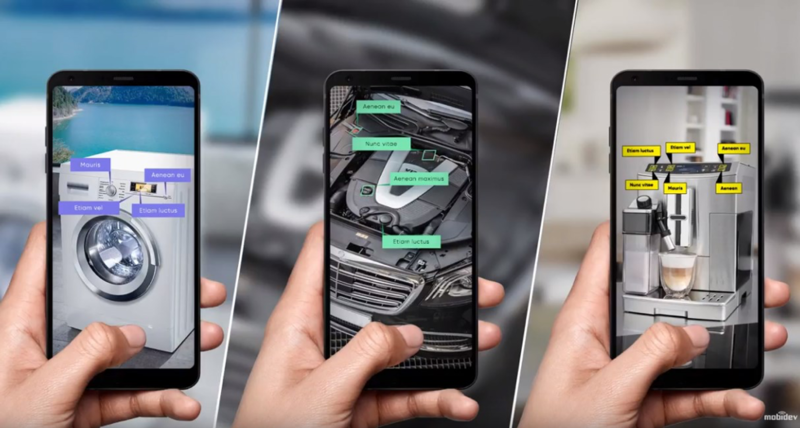 Ask Mercedes uses the smartphone’s camera to scan the element of the vehicle, identify it, and explain its functionality. Object-based recognition can make maintenance or educational apps more user-friendly. You can use shared AR for remote assistance and collaboration. The simplest example is when a person must urgently fix their equipment. Using AR, you can immediately place a call to maintenance technicians who can remotely inspect the equipment in real time, pinpointing possible problems by using virtual marks in a shared AR space. If you're interested in building an AR-powered remote assistance app, a good option is to use WebRTC in conjunction with ARKit for iOS and/or ARCore for Android. 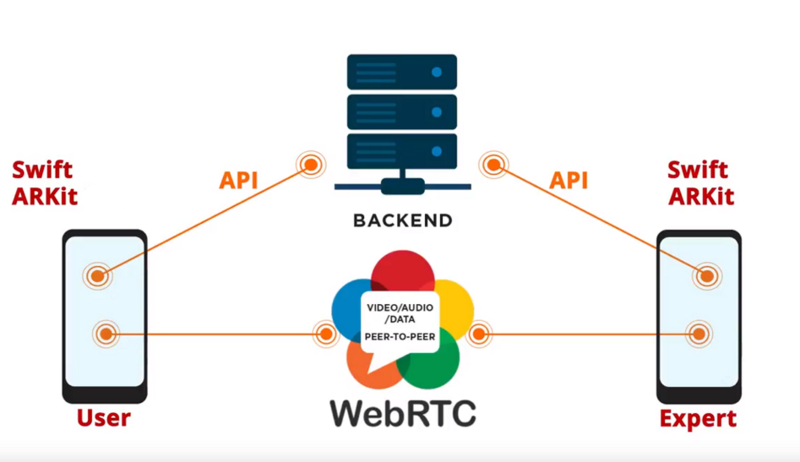 The WebRTC technology not only allows users to stream video/audio, but also uses data channel for AR metadata transmission. As time goes on, more options will likely appear – or maybe you will be the one to take this idea and enter the market with a similar product. If your business caters to travelers, you can wow your customers with AR-enhanced discovery. Thanks to AR, travelers will no longer feel like their time is wasted during rides and flights. With AR-powered discovery apps, they can simply use their smartphones to scan the places and sights they encounter along the way, immersing themselves in discovery and reading curious facts about anything that catches their attention. For example, earlier this year, Airbus presented its iflyA380 app, which allows passengers to point their smartphones out the window and see information about cities, seas, islands, and other landmarks as they fly over them. AR is also used in the hospitality industry by adding new interactive features to hotel rooms to enhance visitors’ local explorations. 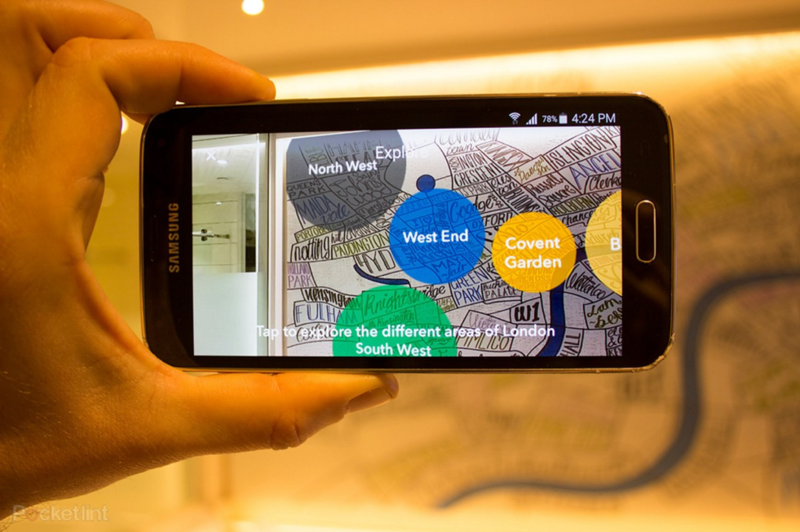 The London's Hub hotel app transforms the big London map on the wall of every smart room into an interactive city guide. Another great example of AR technology is The ViewRanger: Hike, Ride or Walk. It is an outdoor discovery app, which identifies mountains, lakes, and other landscape points with a smartphone camera and places details on the trail guide map for easy exploration and navigation. AR-powered apps can teach users entertaining and fascinating facts about the environments around them. AR offers a revolutionary way to keep your customers engaged and connected solutions. From service delivery to navigation, real-time monitoring of factory equipment to product presentation, AR is diverse enough to serve both B2C and B2B markets. As AR becomes more common and easier to employ, it can provide the perfect opportunity to give companies an edge over their competition. 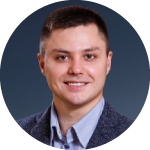 Andrew Makarov, Head of Mobile Development department at MobiDev, with more than 8 years of development experience directed at building innovative mobile apps with the integration of innovative technologies like Augmented Reality, The Internet of Things, Data Science and Machine Learning. Active speaker at world's top tech conferences: MobileTechCon (Germany, 2018, 2017, 2016), DevFest (USA, 2017), SmallBusinessExpo (USA, 2016).